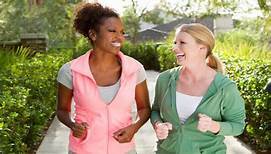 A new study, published in the British Journal of Sports Medicine, suggests that there are “high-intensity incidental physical activities” that people usually do that are known to have benefits to the human body. Such activities are also being done by overweight and unfit individuals. “Among a range of different regimens, we consistently see that any type of high intensity interval training, irrespective of the number of repetitions, boosts fitness rapidly and improves cardiovascular health and fitness,” said Emmanuel Stamatakis, professor of physical activity, lifestyle and population health at the University of Sydney. A. To utilize and enjoy the health benefits of daily routines, here are high-intensity incidental physical activities that can improve health. B. Aside from the given examples above, what are some of your regular activities that you consider a good form of exercise?